Waaaay back when I was a young girl I Hula Hooped with my friends until our sides ached! Those fun simple toys to exercise the middle, well I could use it now! lol Coloring is so peaceful and relaxing and I really wanted to make a vintage style card that was subtle so this is what I have to share with you today. 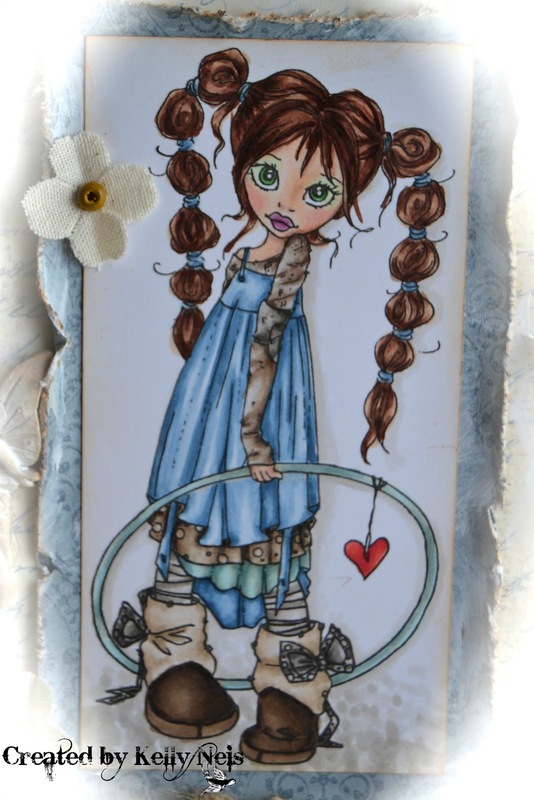 Hula Hoop Love by Saturated Canary is so sweet and I love her tattered style. I used Pion Papers from the Shoreline collection. Distressing and a bit of Gesso around the edges helped me achieve the Vintage affect I wanted. She is colored in Copics. 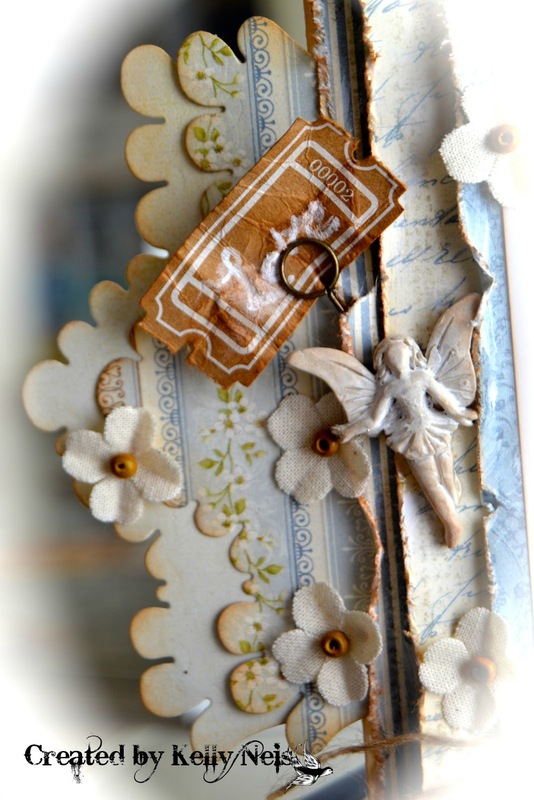 I used Magnolia's envelope edge die twice and added a Tim Holtz pin and ticket. The fairy and flowers are from Prima. I was playing around with my photo shop program. I like the old time photo look and it popped the color beautifully on the image. Fun to experiment a bit. Thank you for visiting my blog today. You make me smile!! Big! Beautiful! 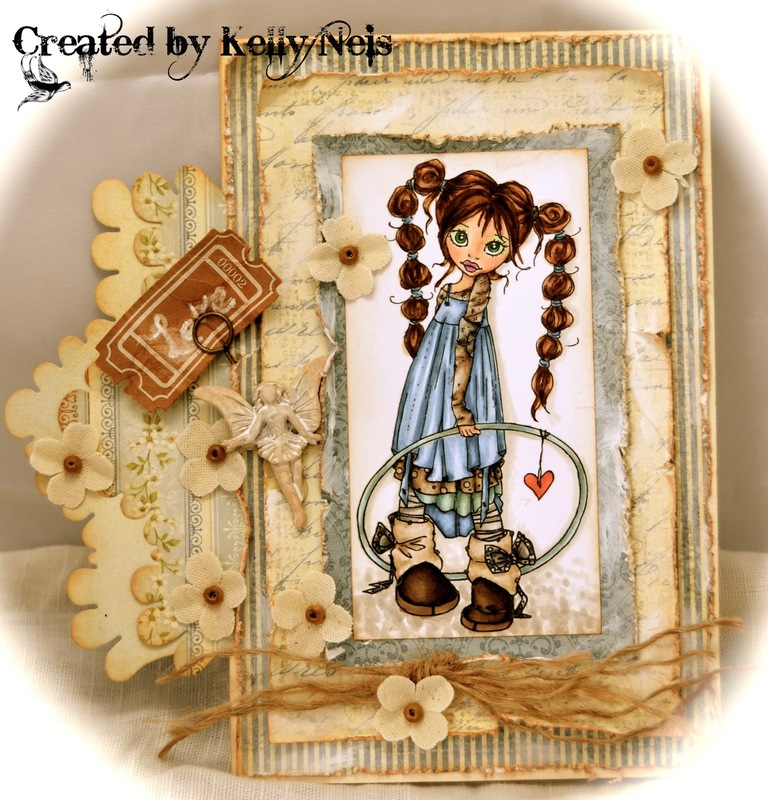 I love the vintage style and your colors are gorgeous! 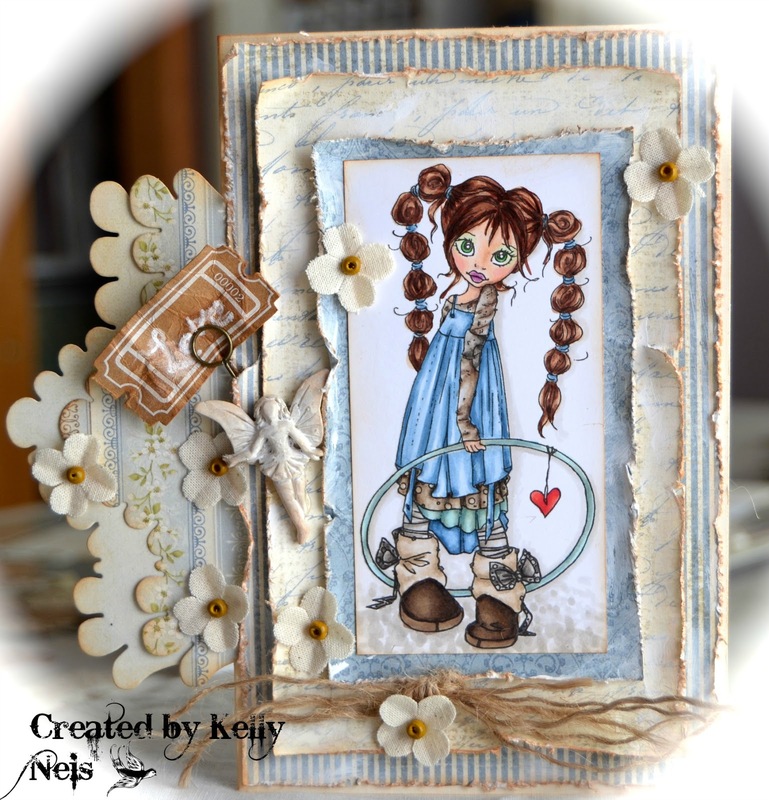 Love the vintage look and your creativity with all your beautiful embellishments! Sweet image beautifully coloured. Never could learn to hula hoop. Oh so lovely card, so sweet ! Love this SC image ! I also purchased this image....have yet to color her! You created a gorgeous work of art here, Kelly! Loooove her and the embellishments are stunning, as always! GORGEOUS!!! I love everything about this....it's perfect!! This is gorgeous Kelly. The image is so cute and I love the beautiful design and scrummy papers. Gorgeous card! Your coloring is fabulous. Love, love all the details.